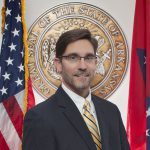 A native Arkansan, Jonathan began working with GIS while completing his Bachelors degree in forestry at the University of Arkansas, Monticello. Following graduation, he continued on to Colorado State University, earning a Masters degree in 1999. Jonathan is also a registered forester in the state of Arkansas. In June 1999, he started his career with Timberland Enterprises, Inc. at Monticello, Arkansas, where he served for seven years as the company GIS/GPS Solutions Manager. In this role, he was responsible for the direction, coordination, marketing, and support of company applications of GIS, GPS, and remote sensing technologies in the western United States. Jonathan relocated to Jonesboro, Arkansas in 2006 to take a GIS Specialist position with Associated Engineering and Testing, LLC. While there, he was responsible for development, technical management, and quality control of contracted and prospective civil projects utilizing GIS and GPS technologies. Jonathan joined the Arkansas GIS Office team in 2010 as a GIS Analyst to support the ongoing development and maintenance of framework data programs, primarily road centerlines and physical address points. In October 2016, Jonathan was promoted to the role of Deputy Director wherein he assists with project management as well as the day to day operations and strategic planning for the agency.